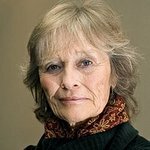 After a highly successful career as an actress, Virginia McKenna devoted herself to wildlife conservation and the formation and development of the Born Free Foundation. Virginia started Zoo Check in 1984 with her late husband, Bill Travers, and eldest son, Will, after the premature death of Pole Pole, an elephant she had come to know during the filming of ‘An Elephant Called Slowly’ who was later gifted to London Zoo by the Kenya Government. Zoo Check later became the registered charity, the Born Free Foundation. Whilst Virginia still finds time to work occasionally as an actress, her leading role now is within the conservation and animal welfare movement. Virginia has also authored, co-authored and co-edited numerous books as well as travelling extensively over the years visiting zoos about which the Born Free Foundation has received complaints and, wherever possible, she accompanies rescued Big Cats to Born Free’s sanctuaries in India and South Africa. Virginia also speaks at numerous events, supports various other charitable organisations and is patron to many others. Google trends for "Virginia McKenna"
We don't have any videos related to Virginia McKenna.